A couple of months ago, we opened Epic Recs up to the public, and in December a hell of a lot of people signed up, either to be paired by us or after pairing themselves. Judith and I are so pleased at Epic Rec's success. We truly hope everyone enjoys this as much as we do! This month we're doing the same thing, there's a form you can fill in if you want to be paired with another person, or you can sign up right away with someone of your choosing using the Linky. All you have to do is fill in the form below, and Judith and I will match you up with another participant. We'll take your bookish tastes into account when finding the right partner for you, although Epic Recs is about expanding your horizons as much as the feeling of glee when someone loves your favourite book. Fill in the form if you're interested, and we'll pair you up as soon as possible! Then create your sign up post/tweet/video for the month, and link it up so we can check it out! We'd love to know what you're reading. What if I participated last month but am looking for a new partner? You may, of course, sign up for a new partner using the form. However, you MUST let your previous partner know that you're planning to do it before you do it. We're not doing letting them know for you. On to the actual recs. Last month Judith recommended MORE THAN THIS to me, which I totally would have read if I hadn't been in a giant, two-week-long reading slump. Believe me, it was awful, and I never want to experience that again. I recommended TIGER LILY to Judith, who also fell into a slump but read the book anyway, and it was a HUGE success. 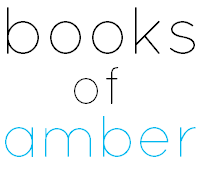 Definitely the best book I've recommended to her so far. Although she hasn't finished TO KILL A MOCKINGBIRD yet... I mean, really. This month, I recommend BURN FOR BURN by Jenny Han and Siobhan Vivian because I loved it so, and Judith needs to meet my ship. 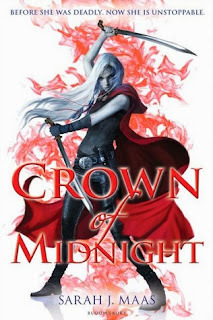 Judith recommends CROWN OF MIDNIGHT by Sarah J. Maas to me, which is a bold move since I thought that the first book was a bit boring. I hope this one is as epic as everyone is saying. I'll also be trying my hardest to read both MORE THAN THIS and JUST ONE DAY, because I feel awful about not having read them. This is an awesome idea! So...if I sign up, am I signing up for a book rec this month or February? I really want to do this, but I'm pretty booked up this month. Thanks. Hi Sam! This is something you would discuss with your partner. I know that some people are waiting until next month to start, because they already have their to be read pile sorted out, or they can't buy another book in time. 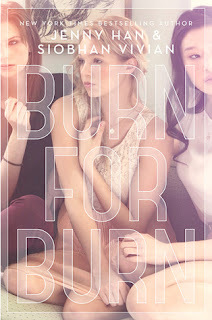 Eek I'm dying to read Burn for Burn so can't wait for Judith's opinion. I haven't read Throne of Glass yet- the thought of starting a 6 part fantasy series when only 2 are released totally puts me off.